Carrots were my childhood nemesis. 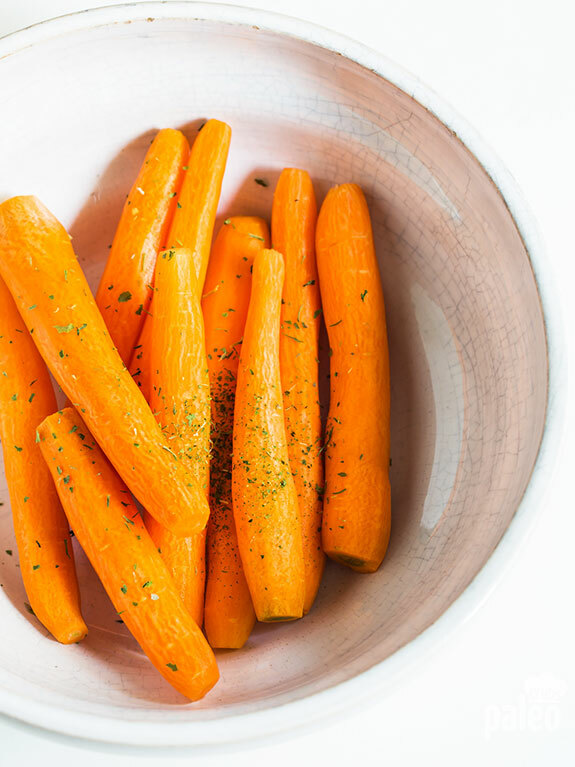 I’ve written about my childhood hatred of carrots before so I won’t go into it today, but here’s yet another recipe that helped turn my hostile relationship with carrots into a loving companionship. If you have someone who isn’t so keen on carrots, I highly recommend this recipe to change their minds. There’s nothing like a little maple syrup and prosciutto to make everything taste better! I now enjoy carrots by themselves, but adding a little prosciutto – good. 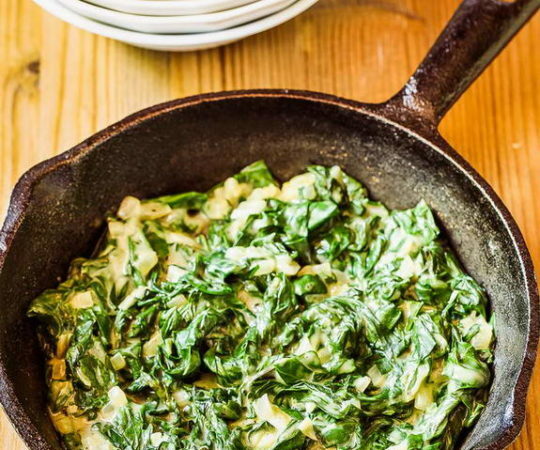 Adding maple syrup and thyme – better. Baking the whole thing – OMG good. 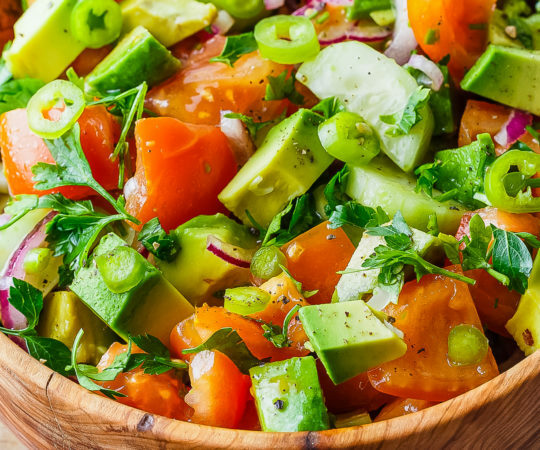 So, of course, if you’re already a carrot lover, you’re going to REALLY love this recipe. 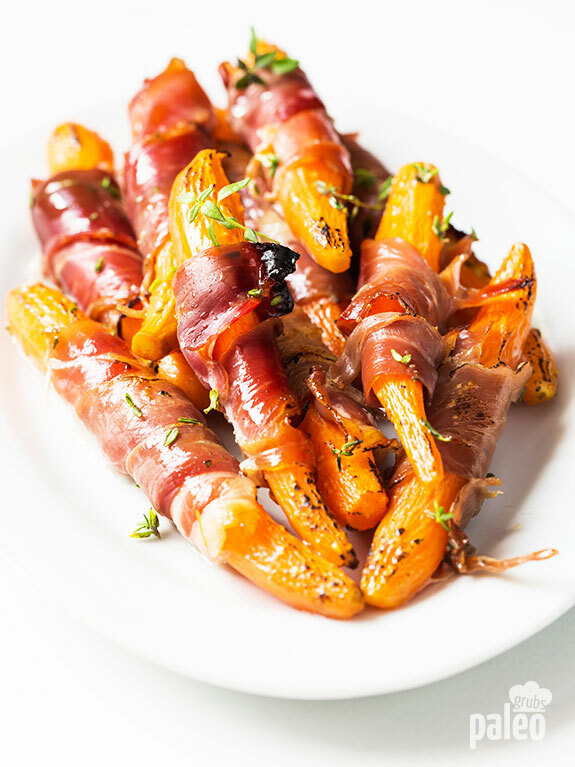 I think of these Prosciutto-Wrapped Carrots as reverse (and healthy!) pigs in a blanket. Instead of the processed, fatty hot dogs being the “pig” inside of the blanket, the pig, in the form of delicious, light, salty prosciutto, is nestled in the blanket. If you’ve never had prosciutto before, you’re in for a treat. It is a dry-cured ham, sliced paper-thin that practically melts in your mouth. Delightful! 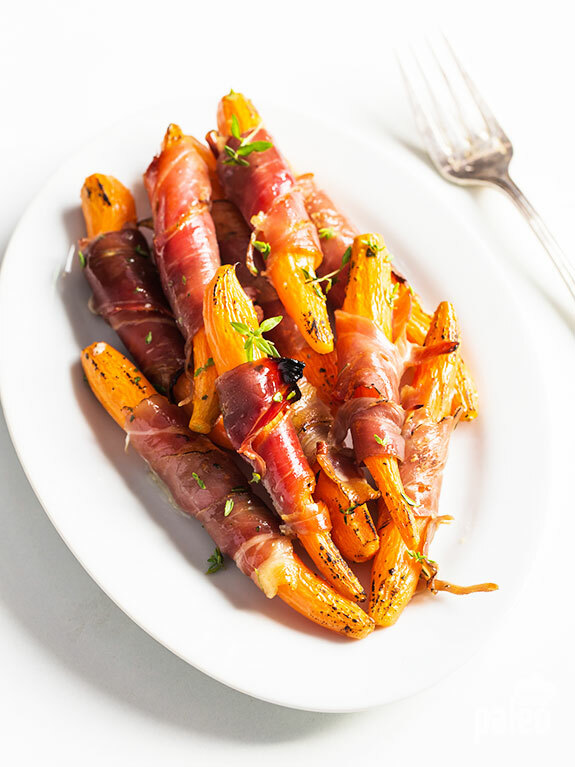 You could probably eat your carrot wrapped in prosciutto and not do anything else to it and be perfectly happy. I know I can be! In fact, I often make a snack of a crispy veggie wrapped in prosciutto. 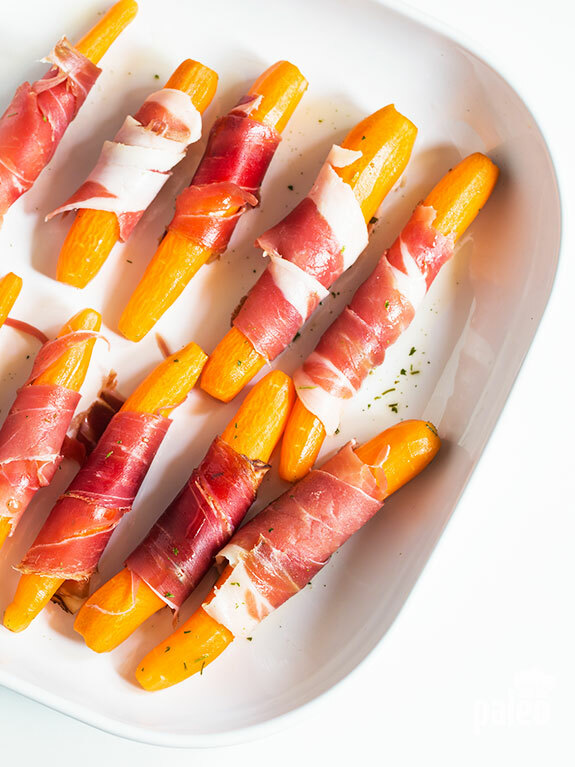 Raw red pepper strips, lightly steamed asparagus, or fresh carrots are great with a little salty prosciutto wrapped around them. And just an FYI, even though the prosciutto is generally pretty pink in color, don’t worry, it’s not raw – you can eat it as is. At my last party, I thought of serving veggies wrapped in prosciutto (plain, just like that) as an appetizer. But I wanted something that seemed a bit…classier. 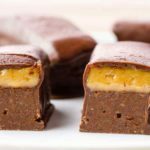 And I thought, “why not take the flavors to the next level?” And that’s what this recipe does. When I have something salty, I know what I want next – and I bet you do, too. Something sweet! Carrots have a natural sweetness that blends famously with maple syrup. Baked together, the sugars come out and taste amazing together. Then we add some thyme. Thyme is a traditional herb that goes with both ham and carrots. You might dress a ham with thyme and you could certainly cook carrots with a bit of thyme and love the combo. So the thyme really brings this nibble together. 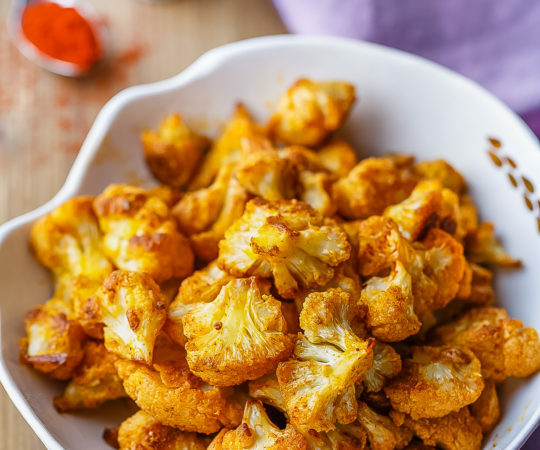 Baking these softens the carrot just a bit (but leaves it firm enough for finger-food appetizer status), caramelizes the sugars of the carrot and maple syrup, and the thyme, as it bakes, robes the whole thing in the savory aroma of one of my favorite herbs. 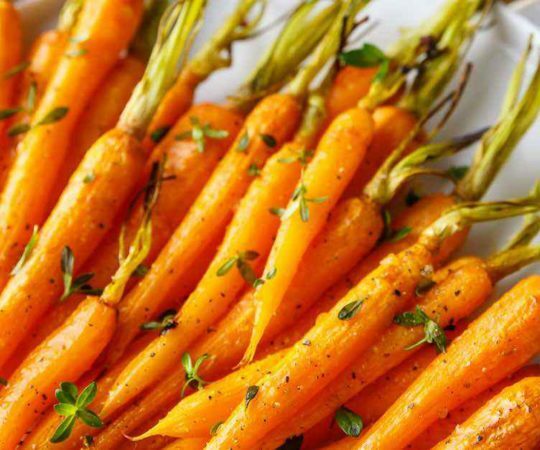 So when I served these as appetizers at my last dinner party, my guests loved them (I didn’t ask if they were carrot lovers!). 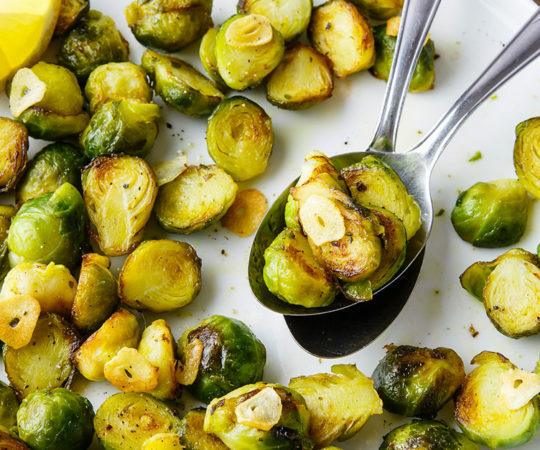 They were big enough and tasty enough to light up everyone’s appetites, but small enough to leave everyone hungry for more. 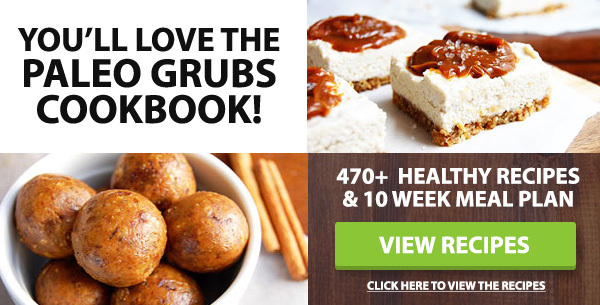 Whether it’s an afternoon snack or an evening appetizer, these carrot and prosciutto bites are not only perfectly Paleo, but terrifically tasty, too! In a large bowl place the carrots, thyme, maple syrup and olive oil and toss to coat. 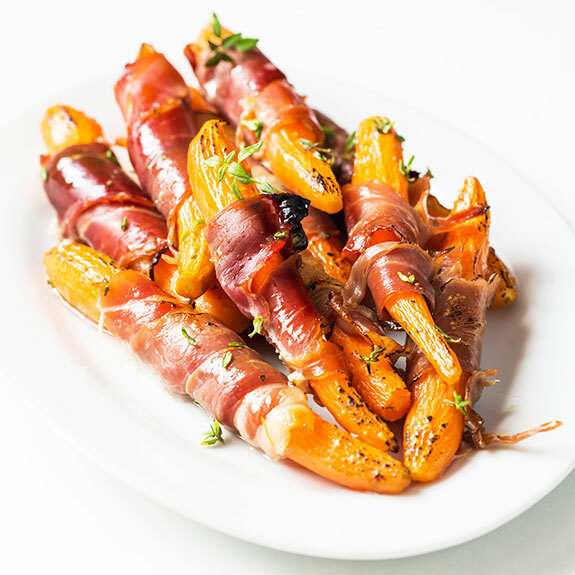 Wrap each carrot with a strip of prosciutto and place in a roasting dish. Drizzle with any remaining oil-maple mixture from the bowl and cook for 15–20 minutes or until the prosciutto is golden brown and crisp. Sprinkle with salt and black pepper and serve.